Aperture Fever? 8" vs 10" or 12"
I love my Sky-Watcher Collapsible 8" Dobson...but I am just wondering about stepping up to a 10" or 12 " Dobson in the future. I primarily enjoy lunar and DSO viewing...and was looking at possibly upgrading to either the Explore Scientific 10" Truss Dob or 12" Truss Dob. 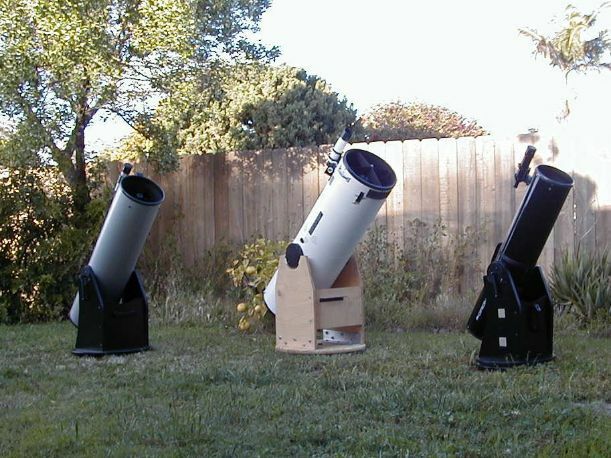 Both weigh about the same as my Sky-Watcher 8". Is the WOW factor for visual viewing worth the upgrade? All scopes are f/5. Edited by DNA7744, 25 January 2019 - 01:04 PM. Going from 8 to 10 is not going to be a major jump, so I'd only go that way as a replacement, not as a complementary scope. I'd go to 12" and that should be a nice bump. Globulars in particular will be a lot more resolved. I was a little disappointed in the little improvement in galaxy detail. Objects like Bodes Galaxy went from a fuzzy ball in my 8", to a fuzzy ball with a hint of arms in my 14". I would say forget about the 10", you wouldn't notice the difference. The 12" would improve Jupiter, Saturn and allow you to chase the fainter moons. If you have a very dark site, the 12" will bring more objects into view and provide a some improvement on large galaxies. You can never really upgrade from an 8", it is the perfect blend of size and power. If you want a second scope go for a wider field (nice pair of binoculars and a mount) or save up and get the biggest beast you can fit in your car. I totally agree with Tom. You should go to a 12" or maybe 14" scope. You would not see a great improvement in a 10" scope. I agree 12 inches is your next step. A SW collapsible like the 8 you have would be manageable, but 14 & up a full truss to keep weight down perhaps. A 12" would more than double the surface area of the primary. So, more photons at the eyepiece. +1 on moving to at least a 12" from an 8" That's a 125% gain or about 1/2 to 2/3rds magnitude gain. faint fuzzes in the 12" that are invisible in the 8". Lunar and planet detail / color will increase substantially as well. IMO 15" or 16" is where the DSO's come alive under dark skies. Globulars, Galaxies, and Planetary nebula really show some detail. Attend a star party and make up your own mind. Look through as many different size scopes, and ask questions about ease of use and pros and cons. Its better to buy a good used premium Dob than some newer China made scopes. Save your money, do the research, than decide on what to buy. Around this place, what you've got barely classifies as being mildly overheated...you haven't even begun to feel the fever UNTIL you get to that 12" range or so. At that point you will turn into an aperture zombie! In all seriousness though, I think Jim Waters and Astro-Master have the right idea. I also enjoy DSOs and Lunar. While my 11" Teeter is extremely good, and certainly shows more than my TEC180, it was my Teeter 16" that really opened up the sky for me in a way that the other scopes couldn't. As others have said though, weight and manageability become much more of a consideration at the 16" size than say a 12". And why isn't my Teeter 16" in my signature? I sold it! I have given my allegiance to The Dark Lord and am awaiting completion of my SpicaEye 24". Yes, I am a zombie. I guess the lowly 11" is just the grab and go...………. I do remember back in the day when we'd travel hours to just SEE a 10" or 12" scope not just look through them. Zombification is for real in this post Dobsonian era!! The difference in views going from 8 to 12 will generate a "wow," so will the difference in weight. A few pounds that might seem insignificant when reading about them in the catalogue become much more significant in use, so I'd wouldn't recommend replacing the 12 with the 8 unless you find the 12 EASY to manage because telescopes seem to get much heavier to me after the new wears off. Over time, the visual WOW becomes wow, and the weight wow become WOW! Edited by gwlee, 25 January 2019 - 03:54 PM. I just sold a 10 inch so that I could buy a 8 inch. For me it was a good choice because of the weight factor. Reminds me of the classic Hitchcock movie Vertigo. 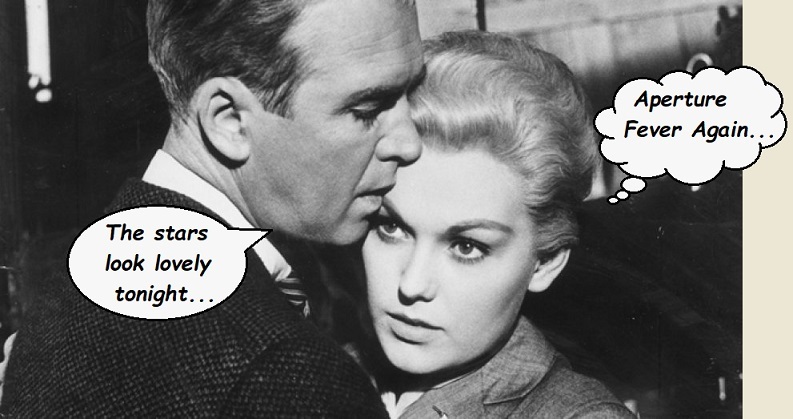 The hero (pb James Stewart) has this obsessive crush on the heroine (pb Kim Novak) and she comments, "You've got it BAD?!" Reading this thread I wonder how 10" scopes get sold at all. Even though a 10" could have less coma, I think I'd try to sell 11" scopes just to catch more 8" upgrades. Edited by stargazer193857, 25 January 2019 - 06:03 PM. If you could have a 10" that is 30 pounds, would you switch to that from the 8"? Maybe some 6" owners would go for it, if they could afford it. Maybe some chose 6" for weight reasons, though many reject 8" for cost reasons. Anyone here stayed inside on a good night because you did not feel like taking out an 8"? I think 1 object where a 10" shines over an 8 is breaking open the larger globulars. A 10 keeps up pretty well with a 12 on globulars, but a 12 is noticeably better on everything else(except maybe the moon). Glad you mentioned Jupiter and Saturn. People tend to think that more aperture is just for fainter stuff, but that extra resolving power is very noticeable on planets. My friends 12 always showed more detail on Jupiter than my 10. Even with my 16, seeing details like spiral arms in galaxies is tough - takes dark skies and good transparency along with averted vision/dark adapted eyes. It is possible in a 12 and even a 10 under great conditions. 12" is the perfect size for DSOs. I like the idea of a one magnitude jump as being a good rule of thumb, even though I did not follow that advice when I bought my second scope. Primarily because I cured aperture fever. I have not defeated the idea larger aperture shows more, that would be something and I don't imagine making many friends pursuing that angle. I just changed the way I think about it by putting emphasis on myself to see more through whatever aperture I use currently. It's challenging, to be sure, but I obtain personal reward in the challenge itself. Almost ironically, that's (almost) true even if I do not see anything at all. NGC 660 has so far avoided me, but I am still determined to go after it. Even just a peek at it is more rewarding in it's own right than nothing at all. The thrill of the chase. The employment of not just machine, but of man and machine. A 12" offers the same challenges, only those challenges are deeper. Absolutely fine to observe through larger aperture, there is plenty of cosmic beauty to be had. That's what we're after. I chased aperture nearly all my life looking for every more detail. Until I made the paradigm shift from the equipment to myself as an observer. I do not get the beautiful images of a larger aperture, but I feel the same reward with what I have learned to see in a smaller one. Again, it's fine to go big because those same challenges exist on a deeper scale. But, the point is, the emphasis on observing and the reward that comes with it almost makes our equipment meaningless. Beauty is simply a matter of observing and the cosmic scale we feel rewarded by observing it. That doesn't change the fact larger aperture shows more, but the "fever" itself is tamed. Sigh, I digress and talk too much...get the largest aperture you can afford and use easily enough, I say the 12" (over twice the surface area) is a nice almost 1 magnitude boost over the 8". Most importantly, get it for the right reasons and enjoy whatever aperture you decide on. There are cosmic challenges to be had in every aperture. Edited by Asbytec, 25 January 2019 - 09:09 PM. I've read great reviews on the 16" ES Truss. So I'd suggest from an 8", go 12" or go all out and get the 16" ES Truss. Edited by Jond105, 25 January 2019 - 09:14 PM. I think they are sold for people like me. Easily manageable, was my first dob, I chose it to go with my 100 and 120mm refractors. 12" seemed to cumbersome, 8" felt like I'd want the little extra aperture. No matter what happens, I would keep the 8" because moving the 12" is not something I would be up to on every available occasions. I find it hard to exhaust a 8", after 3 years I still think it's pretty good, not too hard to move but I still find it heavy. There was a time I owned an 8 inch and a 12.5 inch. Then a 10 inch F/5 was offered on Astromart at a very good price and bought it . Soon I parted ways with the 8 inch because I never found a reason to use the 8 inch when the 10 was around. That was more than 15:years ago. I still have the 10 inch and the12.5 inch. I believe ergonomic differences are more important that magnitude gained. If a scope is too big or too awkward, it's unlikely to get much use. . The longer focal length of the 12" f5 is a big contributed to its power. Extra magnification without magnifying the errors. That same length means you need a more complex chair, and bigger eyepieces if you want to stay wide. Yes, I'm well aware the 12" is better than the 10" for many small things. But the 10" is easier to transport, and maybe good enough. And the person who said to get a 14" or 16": at budget prices, though are big scopes that take some serious setup.